If you have unused or unwanted medication pills or patches (unfortunately, collection sites cannot accept liquids, needles or sharps), please bring it to the station for free, easy and anonymous disposal. There will be NO questions asked. 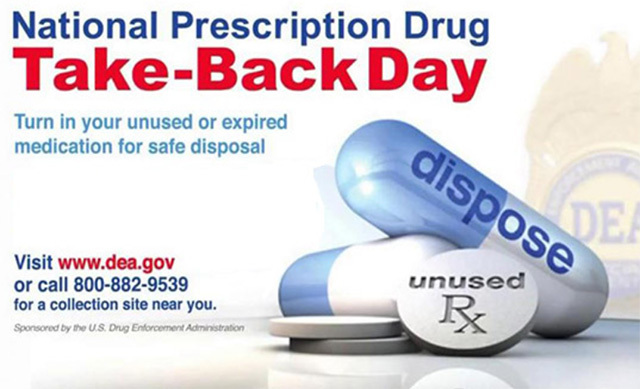 For more information, or to find other drop-off locations, please visit the “National Prescription Take-Back Day” website at DEA.gov.